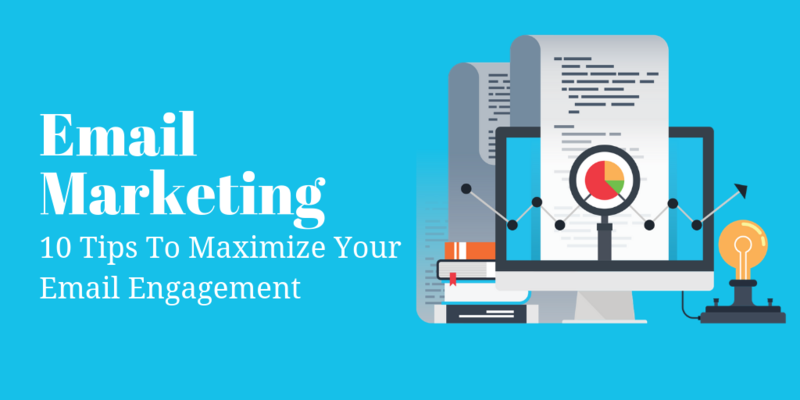 It’s no secret that executing a successful email marketing campaign can help generate a ton of additional traffic to your website and business. Using email marketing as a tactic is more than just promoting your products and services in an email. It creates a direct personal line between you and your consumers. There are a ton of mistakes that marketers can make when putting together a campaign, and if you follow these 10 tips to ensure your marketing campaign will surely be a hit. Every customer is different, and therefore every customer needs to be treated differently. Email offers and promotions don’t always apply to every individual in your database. Maybe one just made a big purchase from your website last week, or another hasn’t purchased anything in a couple of years. You can target particular clusters of customers based on a wide range of criteria, and help your business develop a relationship with them by emailing them applicable offers and information. When you buy contact lists and send unsolicited emails to those contacts, you often get classified as spam mail. Since these people didn’t consent to giving you their email addresses, they may be turned off from visiting your website altogether when you pop up in their inbox. With great resources such as Reach Mail and Active Trail, building email lists organically is easier than ever before, and can pay off big time. Potential customers receive a number of emails every day from comparable companies like yours, so composing unique content and standing out from the rest is key. Depending on your audience, there are a number of methods to make your emails stand out. For example, according to Forbes, 56% of brands that used an emoji in their email subject line had a higher open rate than those that did not. It’s vital to stay professional at all times when sending out emails. That means that writing shouldn’t look sloppy or rushed, there should be no formatting or grammatical errors, and the language used should be appropriate. If you feel like you need an additional set of eyes from an editor before sending something out, you can use sites like UK Writings and Essay Roo to look things over. There’s a certain sweet spot in terms of word count that you want to hit when sending out emails. You don’t want to send emails that drag on too long and bore the recipient, but you also don’t want to send one that’s too short and lacks critical information. It’s important to make sure your email contains pertinent information and provides your recipient with what they need to know. You can set word count targets and easily track them with tools like Easy Word Count. There’s nothing captivating about opening up an email and seeing nothing but several straight paragraphs of plain text. While the content an email contains is extremely important, it also needs to look aesthetically pleasing. There are a number of ways to do this, whether it’s including graphics, charts, or headers to break up paragraphs. While subject lines are usually only a few words long, a big mistake that a lot of marketers make is ignoring them. The subject line is the first thing that people see when you pop up in their email inbox, and it’s key to rope them in right from there. According to HubSpot, emails that included the first name of the recipient in their subject line had higher click through rates than emails that did not. Take some time to think of a witty, eye-catching subject line to do that. If you’re not sure if you’re leaving any information out, you can always get a professional editor or proofreader at Paper Fellows to look over the email copy before sending it out. Take advantage of the analytics and data of your previous marketing campaigns that are at your fingertips. Look through which emails have and have not performed in the past, and which have produced the most success. There’s no reason not to duplicate messages that have succeeded in the past, and to get rid of the ones that haven’t. Just because you’ve finished a promotion pushing your product, doesn’t mean that you should cut all communication and wait for your next push to come to fruition. You don’t want your customers and recipients to forget about you, so you can always start something like a newsletter campaign to keep your brand on their mind. Email marketing campaigns are essential to every business, and by following the tips above you can easily make your campaigns more successful and drive a ton of additional traffic to your website. When putting together an email marketing campaign, it’s important to remember that there are actual people on the receiving end, and they’re not just email addresses on a list. Putting in a few extra minutes to make emails personalized, easy to read, and attractive can go a long way.